Here I am, 24 hours after arrival...30 January 2005, the day that the design team granted conditional occupancy of B1 and B2. I wintered as the construction inspector, part of a Navy contract to monitor the continuing new station construction. What was this assignment? 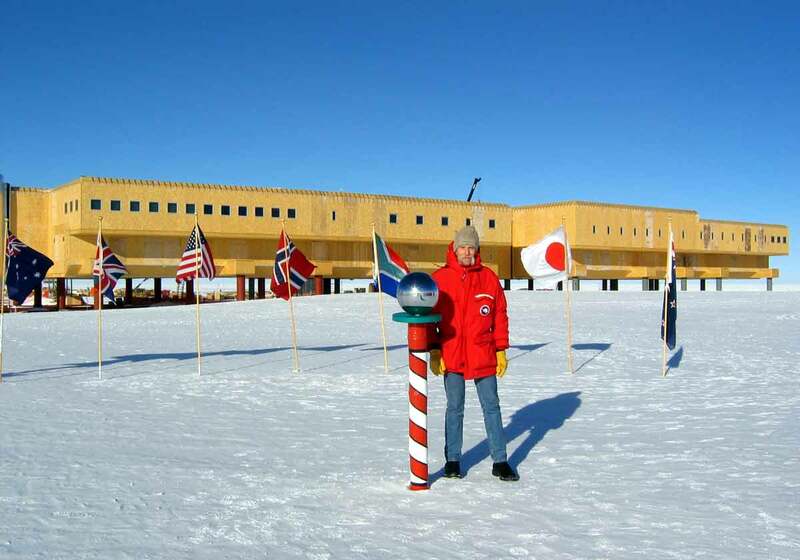 It is the result of the Navy's continuing involvement with facilities engineering and construction in the Antarctic, which started with Byrd's earliest activities in the 1920s and continued through the design of all of the US permanent station facilities from IGY to the present. At present this means that they arrange for engineering and design services as requested by NSF. The specific organization involved is the Pacific Division, Naval Facilities Engineering Command (NAVFAC PAC) in Honolulu. In addition to procuring design services, they also arrange for third-party inspection services--providing reports and other feedback for the design firms and NSF that the work is being completed in accordance with the applicable plans, specifications, and codes. The inspection function is called "Title II Inspection" based on the enabling legislation. There have been inapectors on site since the 2000 winter (the first one for the new station was Bill Henriksen, the 2005 winter site manager) as well as during the summers, and this year there also has been inspection coverage in McMurdo for the power plant upgrade. The contract for Title II services iss held by RSA Engineering, Inc., a mechanical/electrical consulting firm in Anchorage--they employ the inspection personnel. I showed up at the end of January and overlapped with the summer person. During this period PACDIV and the various design firms had folks on site to punch out the completed work and provide for conditional acceptance and occupancy. After they (and the rest of the summer population) left, I worked alongside the construction crews as my own individual technical event (T-964-S) for the winter period. January update...I left Pole on 21 November 2005, exactly one month after the first flights of the season...and I was one of the last 2 winterovers to leave. My replacement (Xuan Ta, who'd been the 2004 w/o inspector) showed up, and I headed north for two months of travel in NZ and Australia. I returned to the US on 21 January 2006. Meanwhile, the summer 2005-06 construction went well, and in January 2006 the design team completed their acceptance inspection of the last 3 wings of the elevated station.